Dan D'Agostino is an iconic person, a legendary figure and founder and longtime owner of Krell Industries. Above all he is a man full of passion. Selling his shares in Krell to investors from KP Partners in 2009, little did he know that it would prove to be a kiss goodbye. He left the company shortly afterwards accompanied by ex wife Rondi with whom he'd started the company in 1970 together with their eldest son Bren, head of technical projects. The financial details of the Krell takeover are not known but it clearly turned unpleasant. Literally overnight the D'Agostino family which had founded and directed the company for 29 years was escorted to the front door. What would they do next? 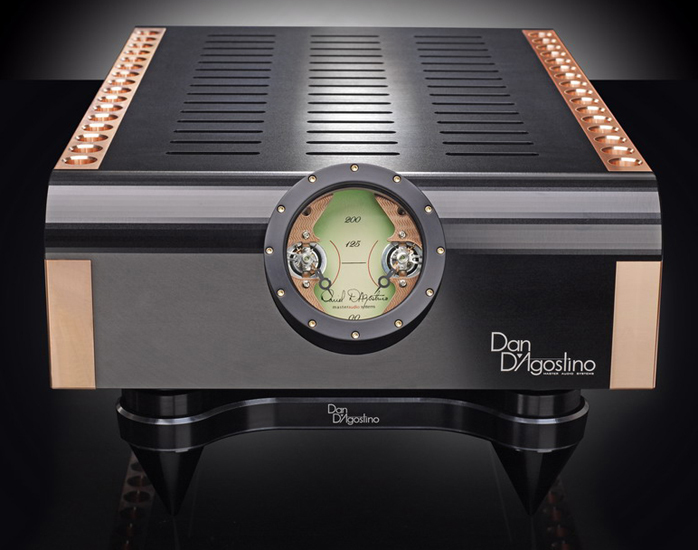 The answer came as early as January 2010 during the CES exhibition in Las Vegas with the Momentum amplifier from new company Dan D’Agostino Master Audio Systems. 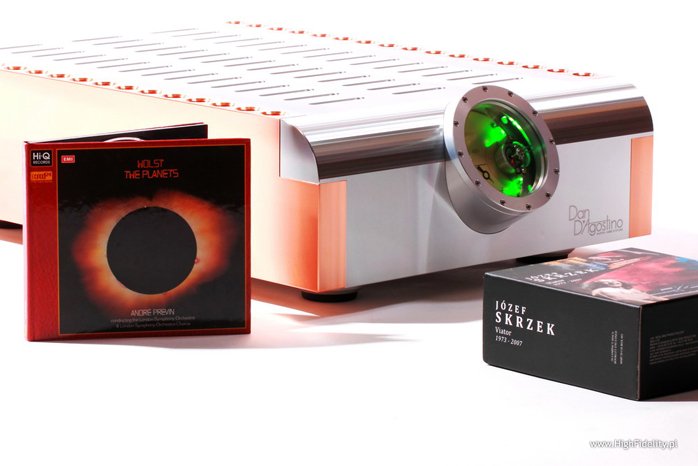 Just as Franco Serblin had done parting ways with his company sonus Faber three years earlier, Dan decided to immortalize his own name in the name of his new company. 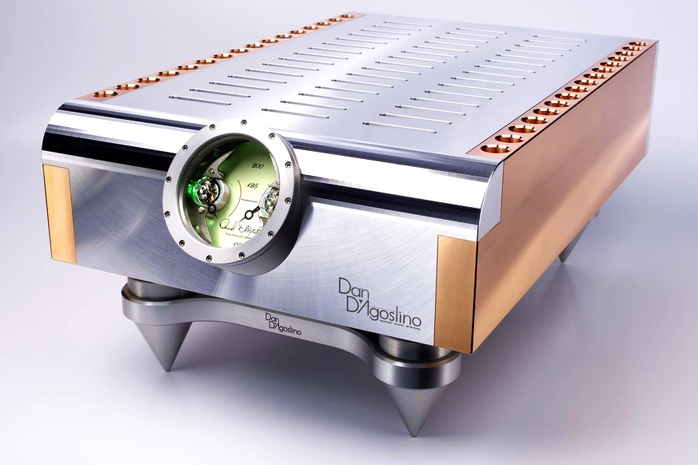 Incidentally both the first amplifier that bears Dan’s name and the first speaker available under the name of Franco Serblin hit the stores in the same year of 2010. 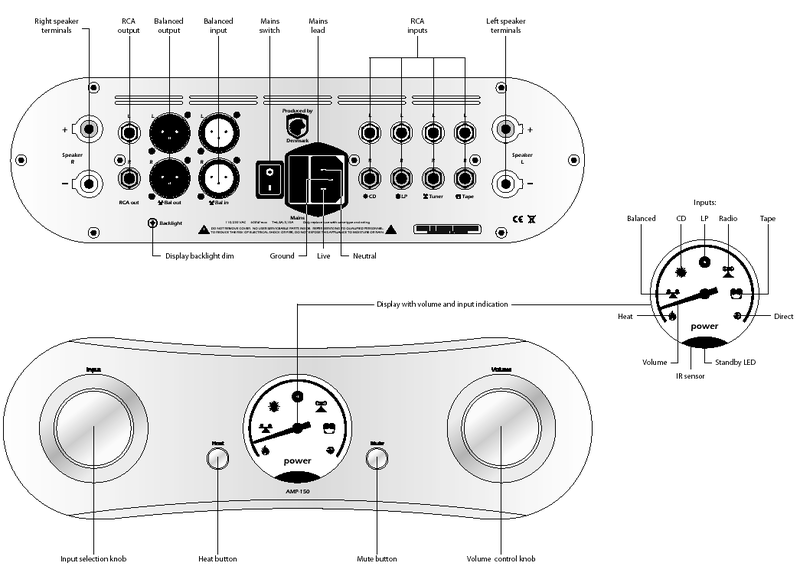 The Momentum Stereo amplifier introduced a year later looks almost identical to the monos except for featuring two power output meters. 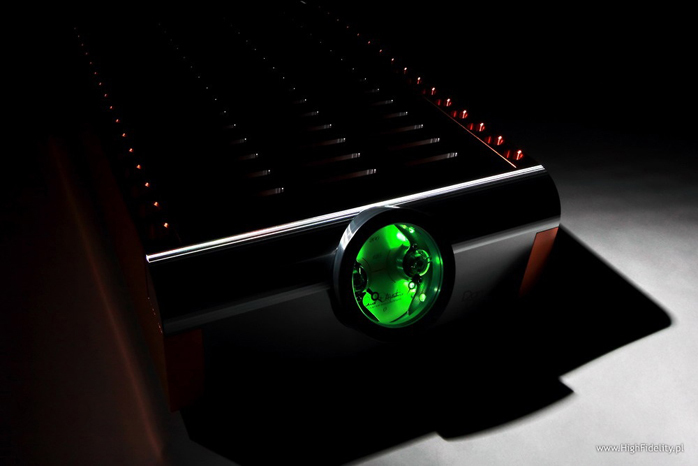 This is the most distinctive element of the amplifier’s exterior. Looking as though taken straight from a steam punk movie, it's actually a tribute to one of the most important watchmakers Abraham Louis Breguet who in 1775 in Paris founded a company bearing his name. It was Breguet who designed the characteristically shaped hour hand which D'Agostino used in your project. The amplifier is surprisingly small but very heavy. Its 40.8kg of fighting weight concentrate over a very compact surface area in an extremely rugged aluminium/copper enclosure made of flat milled bars. You won't find classic finned aluminium heat sinks but thick copper plates with vertical bores. These through-holes are shaped like a double funnel with 12mm core diameter flared to 19mm on either end. Due to copper's 91% higher thermal conductivity over aluminum, classic heat sinks were deemed unnecessary. Although the founder of Krell became famous for his class A amps, the new class A/B design is far more eco-friendly, a very important contemporary detail. According to Dan the amplifier consumes only 1 watt at idle though the measurements by Hi-Fi News & Record Review beg to differ by showing 99 watts. The circuit is built upon 12 pairs of ultra-fast transistors per channel. The stereo model is said to be identical to one monoblock apart from a smaller number of output transistors. ...John Coltrane, Coltrane, Impulse!, 589 567-2, “Deluxe Edition”, 2 x CD (1962/2002); Józef Skrzek, Podróż w krainę wyobraĽni, Polskie Nagrania/Metal Mind Productions, MMP CD 0541, CD (1978/2009); Komeda Quintet, Astigmatic, Muza Polskie Nagrania /Polskie Nagrania, "Polish Jazz vol.5", PNCD 905, CD (1966/2004); Lars Danielsson, Mélange Bleu, ACT, 9604-2, “ACT: Nu Jazz””, CD (2006); Lucy Ann, Lucky Lucy Ann, Mode Records/Muzak, MZCS-1121, “Mode Vocal Collection”, CD (1957/2007); The Dave Brubeck Quartet, Time Out, Columbia Records/Sony Music Entertainment Hong Kong, 883532, "K2HD Mastering CD", No. 0055, CD (1959/2011); The Oscar Peterson Trio, We Get Request, Verve/Lasting Impression Music, LIM K2HD 032 UDC, “Direct From Master Disc. Master Edition”, gold CD-R (1964/2009); Tomasz Stańko Quartet, Lontano, ECM, 1980, CD (2006); Wes Montgomery, Echoes of Indiana Avenue, Resonance Records, 195562, CD (2012).